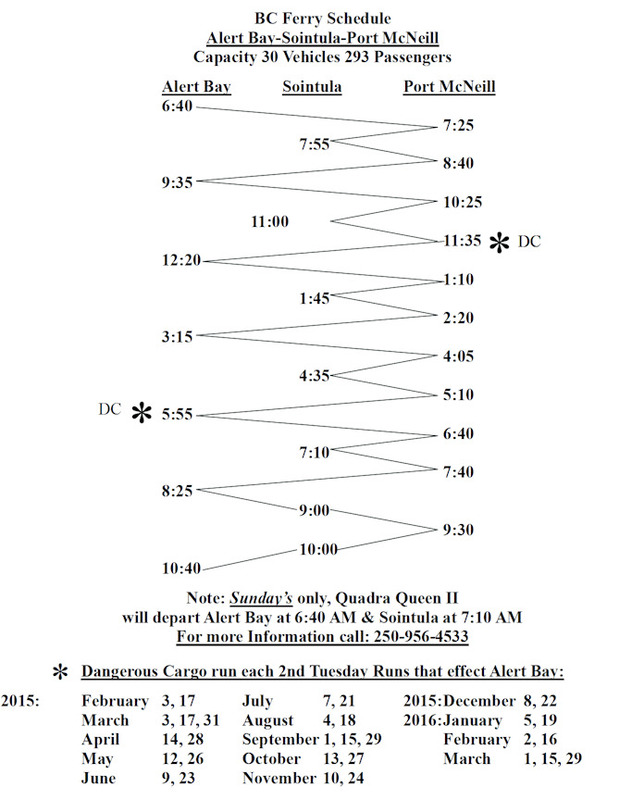 Photo: Alert Bay - Sointula - Port McNeil ferry schedule. Eastern Mojave Vegetation Alert Bay - Sointula - Port McNeil ferry schedule. Ferry Ramp, Alert Bay, British Columbia: at ferry. 17 Avenue, Sointula, British Columbia: at ferry. Other photos about Geography - British Columbia or PortMcNeil.